A game for elementary and pre-intermediate students to practise using the present perfect. You will need dice & counters for this game. It can be laminated or used in a plastic sleeve. Roll the die and count the spaces. Land on a space and make a sentence with the words given. eg: He/eat/his lunch elicits the sentence: He has eaten his lunch. The above downloadable worksheet was created for business/professional students, high school students and adults at Elementary (A1) and Pre-intermediate (A2) level. 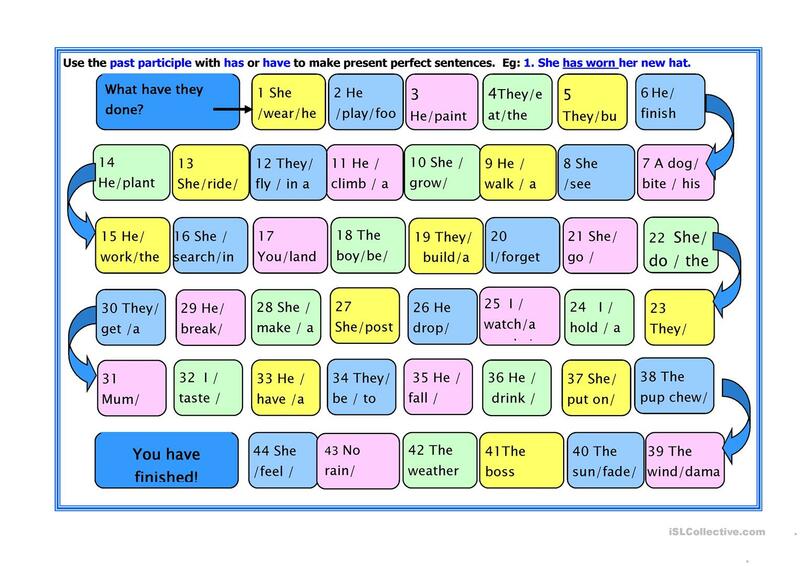 It is great for consolidating Present perfect tenses in English, and is a valuable material for developing your class' Speaking skills.